Sony has revealed that it sold an impressive 6.5 million PlayStation consoles and handhelds in the busy Christmas period, including half a million PS Vita consoles despite a Japan-only launch so far. With the PS Vita due to arrive outside of Japan in February, Sony will have been buoyed by sales of the handheld in its home market and also by decent PS3 figures. Apparently 3.9 million people globally snapped up a PS3, and 1.7 million more invested in Move motion controllers. 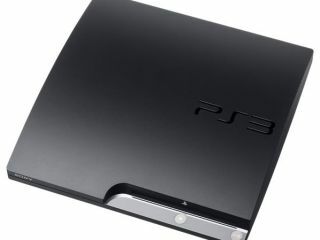 "The PS3 system exceeded 3.9 million units worldwide during the holiday sales season, and continues to build momentum and remains on track to reach its annual sales target of 15.0 million hardware units worldwide in the fiscal year ending March 31, 2012," said Sony. Interestingly, Sony also revealed that the PSP - the PS Vita's predecessor - sold creditably, with 1.6 million purchased in the period; not too shoddy for a handheld that is about to be replaced. "The PSP platform continued its growth, attracting a broader range of users with its enhanced line-up of software titles from 3rd party developers and publishers as well as from [Sony Computer Entertainment]," added the release.